The cutting board is a true basic for every kitchen. They can be used from prep to the dinner table and no longer need to look like an afterthought, but as an accent to your kitchen counter. Here are some boards I am loving and tips for keeping them in tip-top condition. 1. Who says your board can’t add color to your kitchen? check out the bold colors on this colorful rings cutting board. 2. This 2-in-1 bamboo cutting board is the perfect size for any kitchen, and the plastic board fits perfectly inside easily for compact storage. 3. If you are using your board to cut meats, having one with a well to collect the juices is key. I love the deep grain colors of this teak carving board. 1. 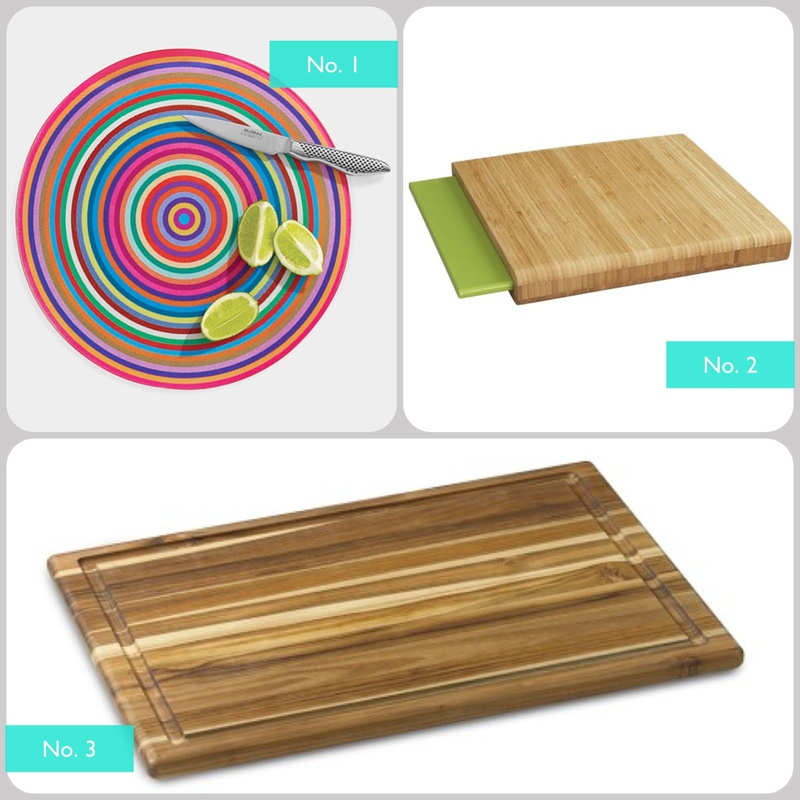 Keep two separate boards–one for preparing meats (plastic or acrylic) and one for vegetables (wood or bamboo). 2. Removing Stains: To remove stains on both types of boards, use the juice from a half of a lemon on the surface of the board. Let sit for 20 minutes and rinse clean. 3. Cleaning: Fill sink with water and 1 tablespoon of unscented liquid chlorine bleach per gallon of water. Soak boards for 30 minutes, then rinse dry and let air dry on a rack. 4. Replace Worn Boards: When you boards begin to accumulate deep grooves from heavy knife use,it is time to go shopping! 5. Here is a great tip for how to use a dish towel to keep your cutting board from slipping on the counter. *top image via A Cup of Joe. 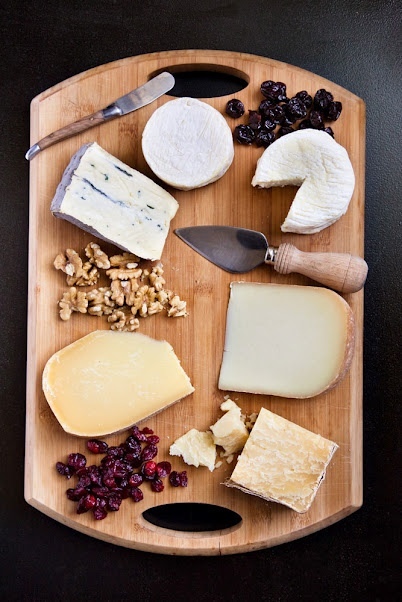 Pop over to see their handy guide to creating the perfect cheese plate.